The cure for Monday Mornings? 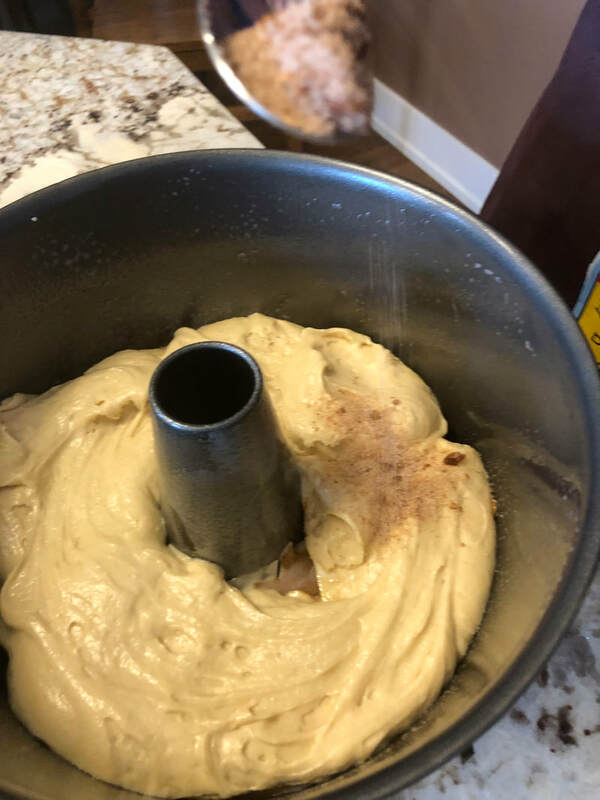 Cinnamon-Swirl Coffee Cake! This coffee cake is an evanated play on a pineapple upside down cake, but using apples. When I bake with apples, I like playing with different varieties...some are sweet and some are exceptionally tart. For this recipe, used a pink lady and a fuji. I have also discovered the beauty and quality of local ingredients. 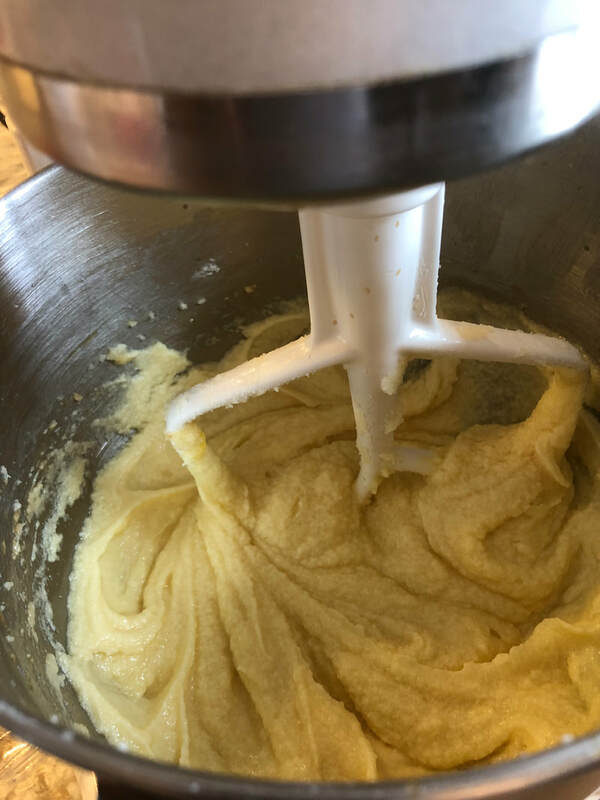 For this recipe i used flour from Janie's Farm, a Central Illinois grower and miller. That kind of freshness makes a difference! 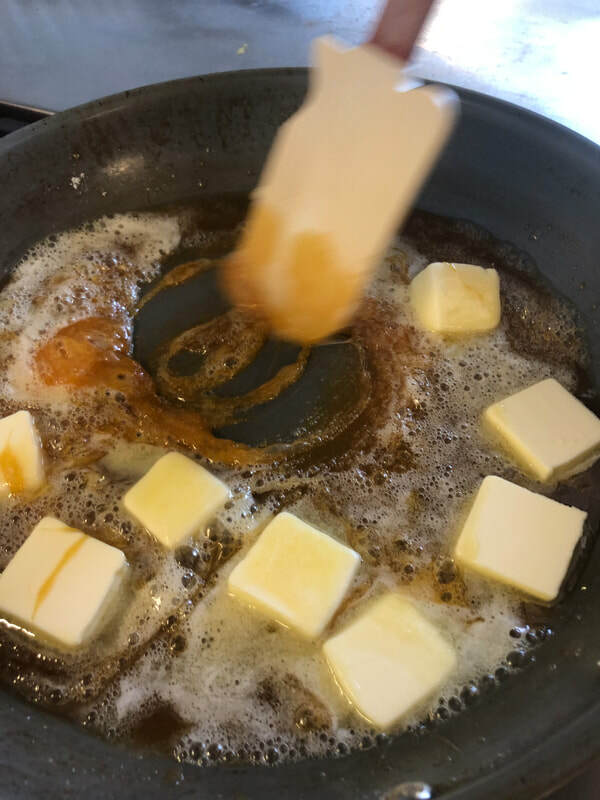 Cream together butter and 2 cups of the sugar with a mixer. Continue beating, adding eggs, one at a time. 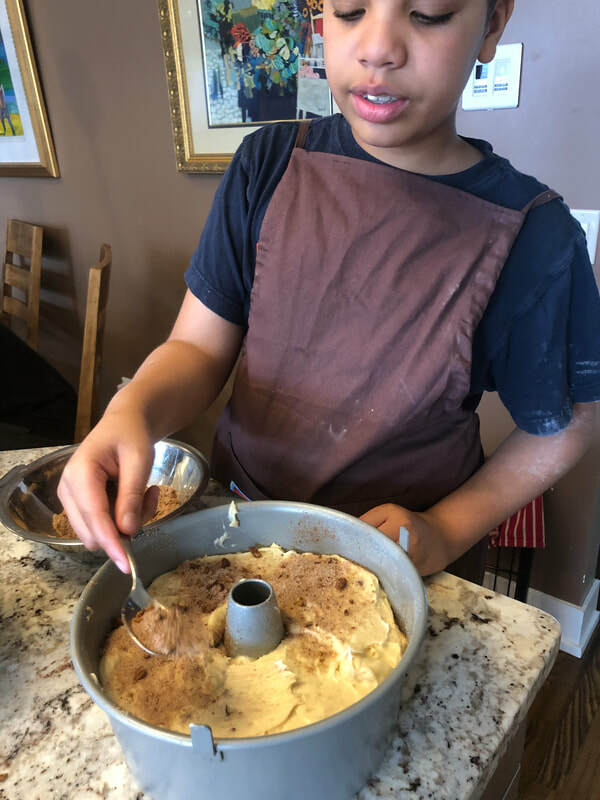 In a separate bowl, mix together the dry ingredients (flour, baking soda, salt). Add 1/2 of the flour and 1/2 of the sour cream to the creamed butter. Continue beating until smooth. Add the remaining flour and sour cream and flour. Beat until smooth again and let stand. While the batter rests, crush the pecans into small pieces. 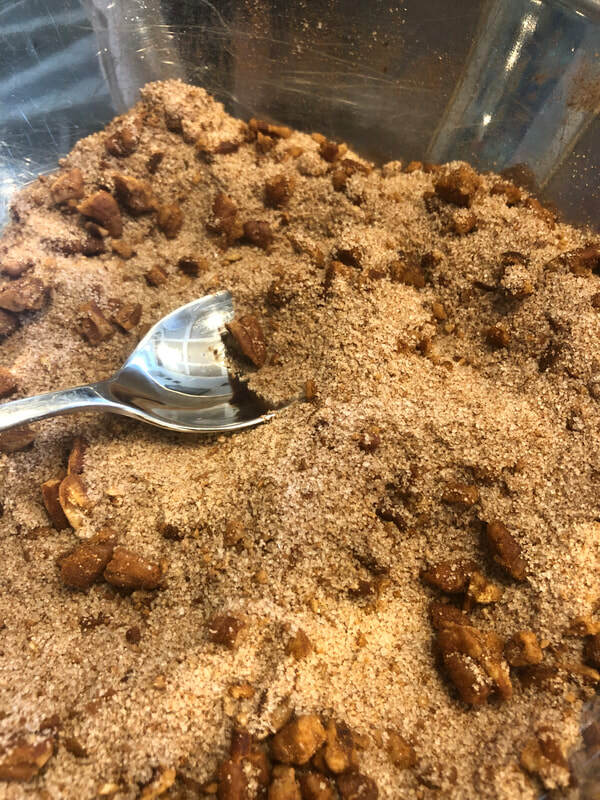 Mix together pecans, cinnamon and remain sugar. 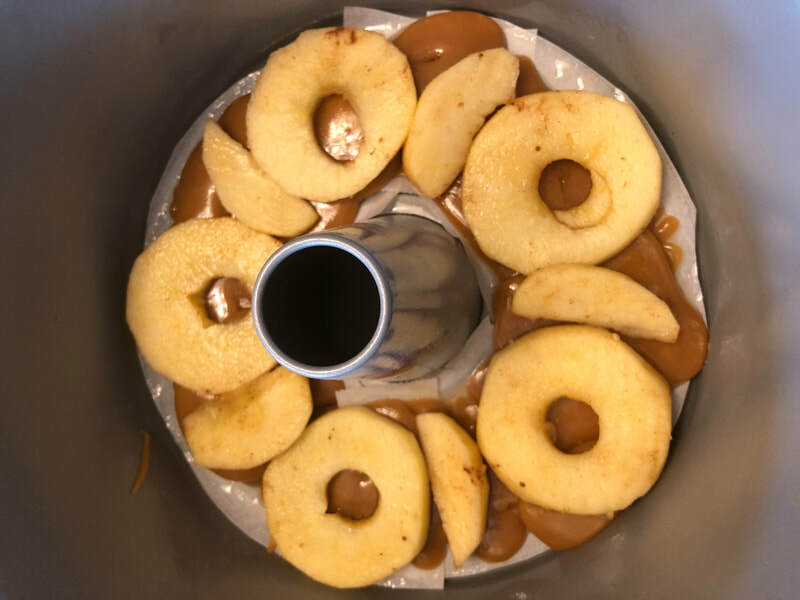 Assemble the cake by lining the bottom of the bundt and with the apple slices. Sprinkle apples with cinnamon sugar mixture. Spoon 1/3 of batter into pan and sprinkle with a generous amount of cinnamon sugar. 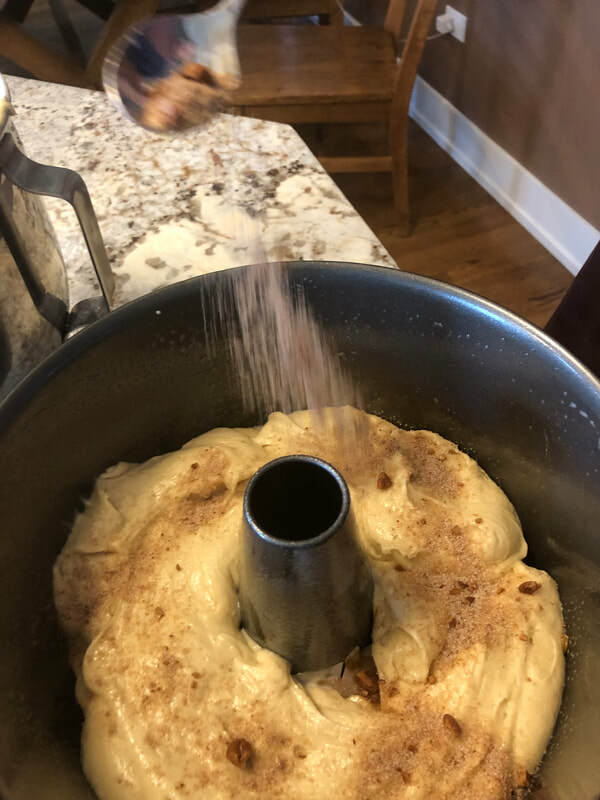 Repeat two more times until all batter and cinnamon sugar are gone. Bake for 50 minutes. Test doneness by inserting a toothpick into the cake. 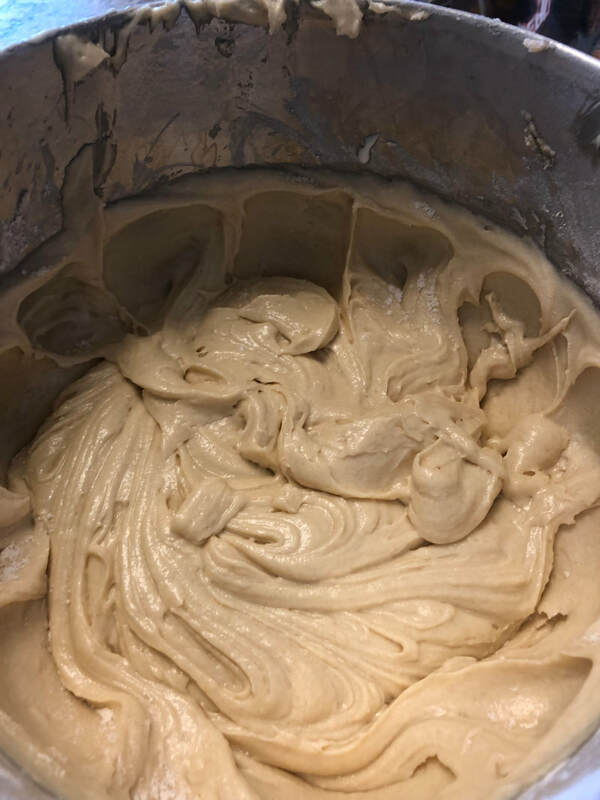 If it comes out clean/dry the cake is done. If not, continue baking, testing for doneness every five minutes. Once done, let cool and remove from pan. 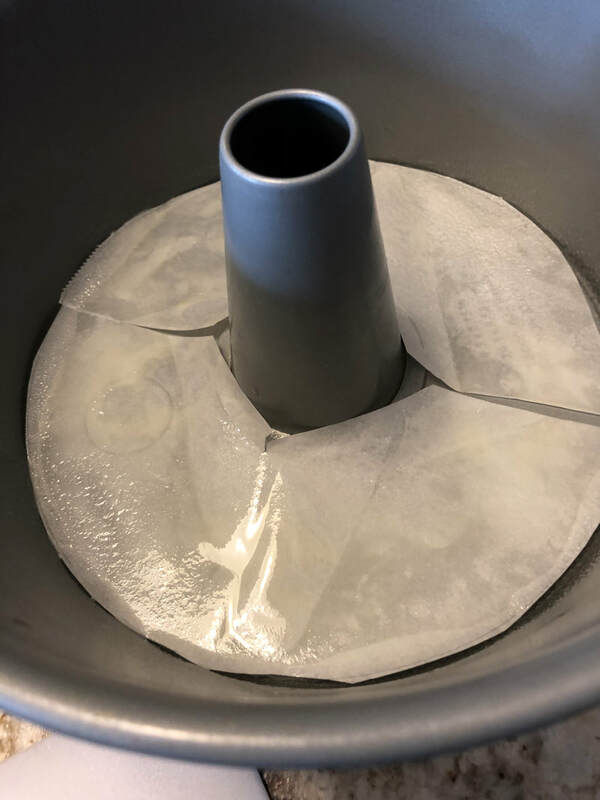 Line bottom of bundt pan with wax or parchment paper to help with the clean release from the pan.